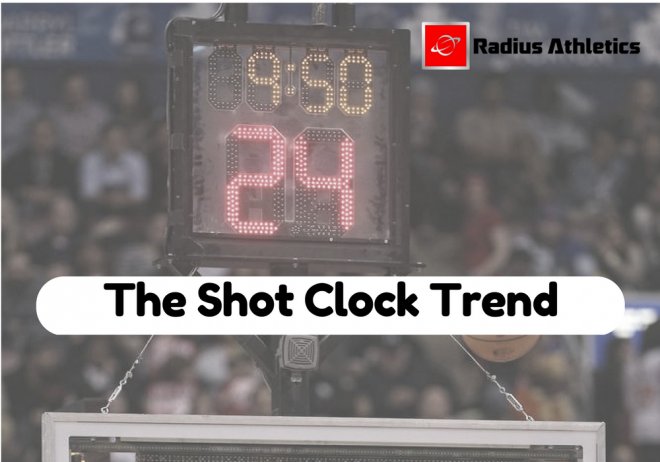 Does the implementation of the shot clock in interscholastic basketball in two US states this offseason signal an emerging trend? Two US states – Wisconsin and Maryland – approved future usage of a shot clock for interscholastic play this offseason. This brings the total number of states who either use or will use the shot clock to nine. Does this mark a trend? Is the day coming where high school basketball in all states and all levels of college basketball (NCAA, NAIA, NJCAA) play with FIBA rules (0:24 shot clock among other differences)? If there is even a fraction of a chance, the time to begin preparing your teams and programs to play with a shot clock is now. Many of the most successful entrepreneurs in the world are “trend spotters.” They see a hint of a trend and begin positioning their businesses or allocating capital in a manner that will allow them to control the market when the foreshadowed trend becomes mainstream. For coaches, the hints are there. The NCAA lowered its shot clock two offseasons ago to 0:30, the same length the FIBA shot clock was before lowering it to 0:24 in 2000. On the women’s side, the NCAA now plays four 10:00 quarters (like FIBA) and resets the team foul count at the end of the each quarter (like FIBA). All that is really left on the women’s side is an adjustment of the court markings and dimensions to mirror the FIBA game. On the men’s side, the NCAA allowed the the NIT to experiment with some rule tweaks in 2017 that echo more than a few FIBA rules. And in this offseason’s Men’s Basketball Rules Committee meetings, members mulled over ideas that are ripped right from the FIBA rule book. Signs point to a slow creep toward a game mirroring FIBA play. And the trickle down is inevitable. While counselling coaches, I often ask them what box they want to fit in. Do they want to coach the game the way it is played (many), how it was played (far too many) or how it will be played (a scarce few)? Like successful business leaders, coaches should have their eyes on trends and build their programs and develop players for how the game will be played five to ten years from now. Why be taken off guard and have to revamp? Instead, be on the forefront and begin teaching and playing the game with a style befitting the shot clock now. The shot clock moves the game from the coach-centric side of the spectrum towards the player-centric side of the spectrum. Players must be able to create and use advantages and make more decisions on their own. Coaches must instill a “make something happen” mindset in their offense. Advantages must be created early in the possession. Players must become decsion-makers on the court and this makes many offenses, drills and coaching styles obsolete. FIBA timeout rules also lessen coach interjections in games. No longer can a team possess and reverse the ball ad nauseam. You cannot back the ball out and rest the offense multiple times. Transition, early offense flow and attacking become paramount. The floor markings (lane width and three-point line) mean players play in more space. More players must have global skills. These skills take time to earn. 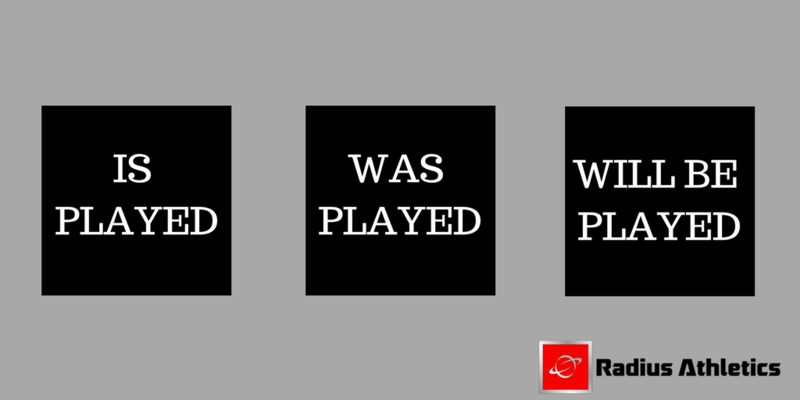 Should a coach wait and try to prepare them in haste or begin doing so now ahead of the trend? These are all things we work on with coaches in our membership program and online clinics. We are cultivating a group of coaches who would not be intimidated by the implementation of a shot clock in their locale, they’d welcome it for they have spotted this trend and are embracing it. Their programs will be “early-arrivers” to the shot clock game. The US dominates FIBA play at all levels on both the male and female side. This essay is not a “US Basketball is broken” piece. The top players and teams in the world are American. Does the influx of foreign-born players in the NBA signify that the gap is closing? Maybe it is; maybe it isn’t. But that gap becomes a gaping chasm with FIBA rules at the developmental level in the US. If there is a sliver of worldwide hope of catching the US in basketball, that hope vanishes if American players develop through a pathway governed by FIBA rules. I would guess that most non-American coaches would agree with this opinion. American talent fully unleashed from inception would turn the US basketball monster into an unstoppable beast. The nine states who have the shot clock are not exempt from evolution either. Wisconsin’s new shot clock rule sets the time at 0:35. This makes their game more NCAA-like than FIBA-like. This duration prevents “stall ball” and sitting on a lead and mockeries of the game but it is still a step short of FIBA rules. Other shot clock states feature 0:30 clocks or clocks of longer duration. While those coaches may be ahead of their peers in other states sans shot clocks, they’d be wise to spot the trends and begin bulletproofing their programs for the day FIBA and 0:24 arrives. When a trend is on the horizon coaches are faced with a choice – embrace that trend or resist it. Adapt your teaching and arm your program for the future or cling to the past and hope the trend never actually materializes. One is preventative the other is a gamble. Ecology has taught us that adaptations allow organisms to survive in their habitat. Species that adapt survive, those that do not are selected for extinction. Plants and animals do not have the ability to predict or formulate theories about the future. Basketball coaches, at least those who peer into it, do. If there is even a small chance the shot clock and/or FIBA rules arrive in your coaching career, why not arm your program for it now?